Remember the Alamo! is still a rallying cry more than 175 years after the siege in Texas, where a small band of men held off about two thousand soldiers of the Mexican Army for twelve days. The Alamo was a crucial turning point in the Texas Revolution, and led to the creation of the Republic of Texas. 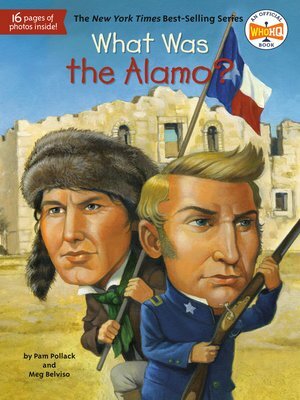 With 80 black-and-white illustrations throughout and a sixteen-page black-and-white photo insert, young readers will relive this famous moment in Texas history.